Top Career Options After 12th - What to do? The exam season will soon be knocking the door, and it will be time for many of you to give your board exams. Even the phonic sound of exams sounds spooky then imagines the plight of poor souls who will be taking these exams(you may want to read our latest post on how to study effectively). Here we are focussing on students of class 12th, this stage is a critical juncture in the life of any student, it is the time when they need to decide their future course of action and as an old saying goes, “the foundation stone of your career will be laid today” aptly applies when we talk about students of class 12th. 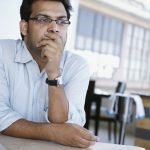 The world is becoming very competitive, and it’s an unhidden fact that there are a plethora of options available for students to pursue their career but what is unfortunate is the lack of guidance and mentorship which can tell them or give them an insight as to which career will be best for them after class 12th. Here we will be focussing on some of the relevant career options for students who have opted PCB or Physics, Chemistry, and Biology or are the science students. The most common option that pops up in the mind of science student is appearing for medical entrance exams but trust me, friends, there are n number of choices available which will help you nurture your career. I’m not saying to skip this option but would be highlighting few other options and stream that can boost the career of science student. MBBS-this is the most enticing career option that lures most of the students from science stream. After MBBS you have to pick up PG course. Healthcare sector is one of the booming industries, and there is a huge demand for good doctors today. You can choose this option but in order to become a doctor your need to appear in medical entrance exam either at the national level or the state level. The total duration this course is 5.5 years followed by an internship You can join any of the private or government hospitals or plan to start your clinic. BDS or Bachelor of Dental Study. The 5-year course is split into four years of classroom learning and one year of internship. However, this is not as the lucrative career option as MBBS. This course is also for five years, and one needs to appear in entrance exam to qualify for a BDS course. You can join any of the private or government hospitals or plan to start your clinic. B Pharmacy or Bachelor of Pharmacy –this course involves the study of medicine and entails everything from making medicine to its users It is a 4-year long course and one can choose the option of M Pharma after completion of bachelor’s degree in pharmacy As far as the job opportunity is concerned then you can apply for a job in pharmacy companies, you can be hired by hospitals as a chemist. Moreover, there are government hospitals where you can fetch a job. You can also opt for research in the field of pharmacy or pick up a teaching job after completion of both B Pharmacy and M Pharmacy. B.A.M.S( Bachelor of Ayurvedic Medicine and Surgery). This course is for those who are willing to make a career in Ayurveda. The future of this sector is bright and hence, you can choose this as a career option for yourself. 5.5years ( here you have 4.5 years of classroom learning and one year of internship) Health tourism sector, Ayurvedic resorts, and treatment. Apart from this, there are various private and government jobs available. BSc. Nursing– there is a huge demand for trained nurses, with the increasing demand in the healthcare sector, the demand for health professionals is going to rise. 3 years followed by MSc. Excellent job opportunities in government and private hospitals. B.H.M.S. or Bachelor of Homeopathic Medicine and Surgery- this curse is about homeopathic medicine 5.5 years There is growing inclination of people towards homeopathy medicine; there is need of qualified BHMS doctors. Government and private hospitals offer great job opportunity for BHMS graduate. Bachelor of Physiotherapy– The physiotherapy professionals help a patient to recover from muscular and physical injuries. 4.5 years ( 4 years of classroom education and six months of internship) One can start working as a physiotherapist in government and private hospital or one can start their physiotherapy center. This can be followed by M.Sc. 3 years One can opt for MSc. Supported by research or teaching as a profession. Diploma Courses in Pharmacy, Forestry, Medical Electronics, Fashion Designing, Journalism, Mass Communication, Food Science and Nutrition, event management, nursing, interior designing, Diploma can be pursued after 12th, and the duration varies from 6 months to 1 year. However, traditional diploma courses may last longer than one year. There are specific industries were is growing demand of degree holders like event management companies, magazines, newspapers and various entrance exams where one can apply for multiple streams. B.A.S.L.P or Bachelor of Audiology Speech and Language Pathology. The course encompasses study on audiology hearing implants, auditory systems, hearing disorders, etc. 4 years, this is followed by one year of an internship program. After completion of this course, you can join companies which are in sales of hearing implants, rehabilitation center, individual schools and institutes, hearing aid manufacturing industries, etc. Management courses like BBA, BMS, BHM, BBS, BIBF, Three years and in a case of integrated MBA and BBA program the course duration will increase. You can easily apply for the job in any of the marketing firm or private organization. Teaching – you can pick up courses like B.Ed. (Bachelor of Education), B.P.Ed (Bachelor of Physical Education), B.El.Ed (Bachelor of Elementary Education), Primary Teacher Training Program followed by B. Ed. Remember, if you wish to make your career in the teaching profession, it’s important that you have B.Ed. degree. 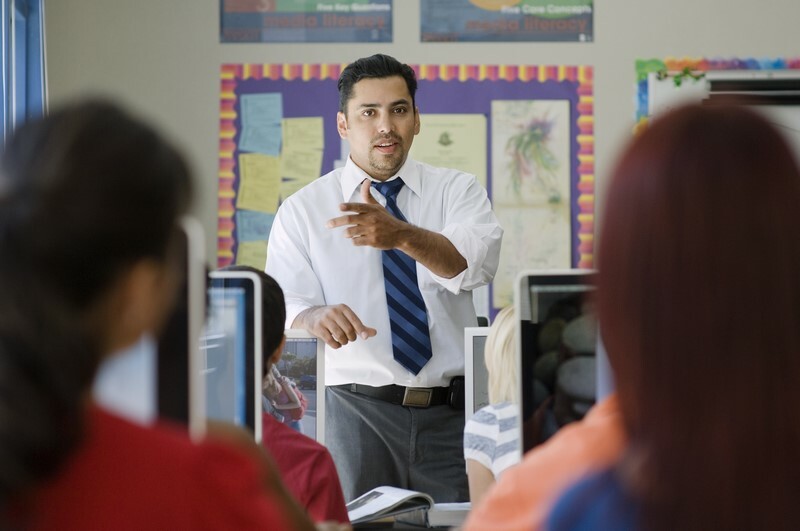 Post completion of this course you can choose to pursue M.Ed or Masters of Education. Course duration has been increased from 1 year to 2 years now. After the end of this course, you join as a teacher in school or college or appear for National Eligibility Test to become a professor. Law – If the profession lawyer interests you, you can opt for BA LLB after completion of 12th. Air hostess training – There are many institutes offering diploma in the air hostess training program. After the end of this course, you can join any of the traditional airlines. The duration of this course is between 1-2 years. Event Management – Diploma in event management is yet another lucrative field which you can explore. The duration of the course varies between 1-3 years. Website Design and development – In the world of technology, we have a high demand for trained and skilled website designers and developers. You can pick up a diploma course in this domain and either join any of the firms or start the freelance work of your own. Why should you choose the right career? Now that you know about the various options available, it will be easy for you to make the choice of your career but the merely making selection of an option will not be helpful rather you should choose the right career path for yourself. Before hitting your career path after class 12th, it is important that you analyze, the future of a particular course and how far it will take you as far as the professional goals are concerned. 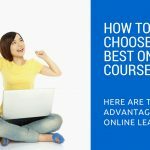 There are courses which people often opt because of the peer effect or parental pressure, but you should first see which subject you are comfortable with, whether you are interested in studying in a particular stream or not and what are the various job prospects once you complete the course. Apart from selecting the right course, it is important that you move to the right college which can offer your best education and overall development along with job placements. Since for many examples you are supposed to qualify the entrance exam, it is important that you check your attitude and whether you will be able to clear the exams or not. There are aptitude tests available online, or you can join coaching institutes. Whatever the case may be, it is important that the choices you make today should not make you regret tomorrow. You should love what you are learning; this is the only way for you to succeed in your academic as well as professional career. We have tried to enlist the maximum options available for science students. Do not rush to make a decision when it comes to selecting a course; it’s advisable that you spend time researching and discussing the same and then take the decision. We wish you all the very best for your future. I was confused abut that which career is best after 12 but you helped me a lot by providing information here. Thanks for your career-guidance. this info will help me to choosing a right career. Please keep us informed like this. what are those question ?